An excerpt from the new eBook, Gore Vidal's State of the Union: Nation Essays 1958-2005. This is an excerpt from the new ebook Gore Vidal's State of the Union: Nation Essays 1958-2005, a collection of 26 timeless essays that exemplify Vidal's critical vision, from provocative pieces like "Some Jews and the Gays" to the famous "Requiem for the American Empire." The 182-page eBook is now available on tablets, smartphones and computers—download yours today. On September 16, 1985, when the Commerce Department announced that the United States had become a debtor nation, the American Empire died. The empire was seventy-one years old and had been in ill health since 1968. Like most modern empires, ours rested not so much on military prowess as on economic power. After the French Revolution, the world money power shifted from Paris to London. For three generations, the British maintained an old-fashioned colonial empire, as well as a modern empire based on London’s primacy in the money markets. Then, in 1914, New York replaced London as the world’s financial capital. Before 1914, the United States had been a developing country, dependent on outside investment. But with the shift of the money power from Old World to New, what had been a debtor nation became a creditor nation and central motor to the world’s economy. All in all, the English were well pleased to have us take their place. They were too few in number for so big a task. As early as the turn of the century, they were eager for us not only to help them out financially but to continue, in their behalf, the destiny of the Anglo-Saxon race: to bear with courage the white man’s burden, as Rudyard Kipling not so tactfully put it. Were we not—English and Americans—all Anglo-Saxons, united by common blood, laws, language? Well, not, we were not. But our differences were not so apparent then. In any case, we took on the job. We would supervise and civilize the lesser breeds. We would make money. By the end of World War II, we were the most powerful and least damaged of the great nations. We also had most of the money. America’s hegemony lasted exactly five years. Then the cold and hot wars began. Our masters would have us believe that all our problems are the fault of the Evil Empire of the East, with its Satanic and atheistic religion, ever ready to destroy us in the night. This nonsense began at a time when we had atomic weapons and the Russians did not. They had lost 20 million of their people in the war, and 8 million of them before the war, thanks to their neoconservative Mongolian political system. Most important, there was never any chance, then or now, of the money power (all that matters) shifting from New York to Moscow. What was—and is—the reason for the big scare? Well, World War II made prosperous the United States, which had been undergoing a depression for a dozen years; and made very rich those magnates and their managers who govern the republic, with many a wink, in the people’s name. In order to maintain a general prosperity (and enormous wealth for the few) they decided that we would become the world’s policeman, perennial shield against the Mongol hordes. We shall have an arms race, said one of the high priests, John Foster Dulles, and we shall win it because the Russians will go broke first. We were then put on a permanent wartime economy, which is why a third or so of the government’s revenues is constantly being siphoned off to pay for what is euphemistically called defense. As early as 1950, Albert Einstein understood the nature of the rip-off. He said, “The men who possess real power in this country have no intention of ending the cold war.” Thirty-five years later, they are still at it, making money while the nation itself declines to eleventh place in the world per capita income, to forty-sixth in literacy and so on, until last summer (not suddenly, I fear) we found ourselves close to $2 trillion in debt. Then, in the fall, the money power shifted from New York to Tokyo, and that was the end of our empire. Now the long-feared Asiatic colossus takes its turn as world leader, and we—the white race—have become the yellow man’s burden. Let us hope that he will treat us more kindly than we treated him. In any case, if the foreseeable future is not nuclear, it will be Asiatic, some combination of Japan’s advanced technology with China’s resourceful landmass. Europe and the United States will then be, simply, irrelevant to the world that matters, and so we come full circle. Europe began as the relatively empty uncivilized Wild West of Asia; then the Western Hemisphere became the Wild West of Europe. Now the sun has set in our West and risen once more in the East. The British used to say that their empire was obtained in a fit of absent-mindedness. They exaggerate, of course. On the other hand, our modern empire was carefully thought out by four men. In 1890, a U.S. Navy captain, Alfred Thayer Mahan, wrote the blueprint for the American imperium, The Influence of Sea Power Upon History, 1660-1783. Then Mahan’s friend, the historian-geopolitician Brooks Adams, younger brother of Henry, came up with the following formula: “All civilization is centralization. All centralization is economy.” He applied the formula in the following syllogism: “Under economical centralization, Asia is cheaper than Europe. The world tends to economic centralization. Therefore, Asia tends to survive and Europe to perish.” Ultimately, that is why we were in Vietnam. The amateur historian and professional politician Theodore Roosevelt was much under the influence of Adams and Mahan; he was also their political instrument, most active not so much during his Presidency as during the crucial war with Spain, where he can take a good deal of credit for our seizure of the Philippines, which made us a world empire. Finally, Senator Henry Cabot Lodge, Roosevelt’s closest friend, kept in line a Congress that had a tendency to forget our holy mission—our manifest destiny—and ask, rather wistfully, for internal improvements. From the beginning of our republic we have had imperial tendencies. We took care—as we continue to take care—of the indigenous population. We maintained slavery a bit too long even by a cynical world’s tolerant standards. Then, in 1847, we produced our first conquistador, President James K. Polk. After acquiring Texas, Polk deliberately started a war with Mexico because, as he later told the historian George Bancroft, we had to acquire California. Thanks to Polk, we did. And that is why to this day the Mexicans refer to our Southwestern states as “the occupied lands,” which Hispanics are now, quite sensibly, filling up. But the empire has always had more supporters than opponents. By 1895 we had filled up our section of North America. We had tried twice—and failed—to conquer Canada. We had taken everything that we wanted from Mexico. Where next? Well, there was the Caribbean at our front door and the vast Pacific at our back. Enter the Four Horsemen—Mahan, Adams, Roosevelt and Lodge. The original republic was thought out carefully, and openly, in The Federalist Papers: we were not going to have a monarchy and we were not going to have a democracy. And to this day we have had neither. For 200 years we have had an oligarchical system in which men of property can do well and the others are on their own. Or, as Brooks Adams put it, the sole problem of our ruling class is whether to coerce or to bribe the powerless majority. The so-called Great Society bribed; today coercion is very much in the air. Happily, our neoconservative Mongoloids favor only authoritarian and never totalitarian means of coercion. Unlike the republic, the empire was worked out largely in secret. Captain Mahan, in a series of lectures delivered at the Naval War College, compared the United States with England. Each was essentially an island state that could prevail in the world only through sea power. England had already proved his thesis. Now the United States must do the same. We must build a great navy in order to acquire overseas possessions. Since great navies are expensive, the wealth of new colonies must be used to pay for our fleets. In fact, the more colonies acquired, the more ships; the more ships, the more empire. Mahan’s thesis is agreeably circular. He showed how little England had ended up with most of Africa and all of southern Asia, thanks to sea power. He thought that we should do the same. The Caribbean was our first and easiest target. Then on to the Pacific Ocean, with all its islands. And, finally, to China, which was breaking up as a political entity. Theodore Roosevelt and Brooks Adams were tremendously excited by this prospect. At the time Roosevelt was a mere police commissioner in New York City, but he had dreams of imperial glory. “He wants to be,” snarled Henry Adams, “our Dutch-American Napoleon.” Roosevelt began to maneuver his way toward the heart of power, sea power. With Lodge’s help, he got himself appointed Assistant Secretary of the Navy, under a weak Secretary and a mild President. Now he was in place to modernize the fleet and to acquire colonies. Hawaii was annexed. Then a part of Samoa. Finally, colonial Cuba, somehow, had to be liberated from Spain’s tyranny. At the Naval War College, Roosevelt declared, “To prepare for war is the most effectual means to promote peace.” How familiar that sounds! But since the United States had no enemies as of June 1897, a contemporary might have remarked that since we were already at peace with everyone, why prepare for war? Today, of course, we are what he dreamed we would be, a nation armed to the teeth and hostile to everyone. But what with Roosevelt was a design to acquire an empire is for us a means to transfer money from the Treasury to the various defense industries, which in turn pay for the elections of Congress and President. Our turn-of-the-century imperialists may have been wrong, and I think they were. But they were intelligent men with a plan, and the plan worked. Aided by Lodge in the Senate, Brooks Adams in the press, Admiral Mahan at the Naval War College, the young Assistant Secretary of the Navy began to build up the fleet and look for enemies. After all, as Brooks Adams proclaimed, “war is the solvent.” But war with whom? And for what? And where? At one point England seemed a likely enemy. We had a boundary dispute with it over Venezuela, which meant that we could invoke the all-purpose Monroe Doctrine (the invention of John Quincy Adams, Brooks’s grandfather). But as we might have lost such a war, nothing happened. Nevertheless, Roosevelt kept on beating his drum: “No triumph of peace,” he shouted, “can equal the armed triumph of war.” Also: “We must take Hawaii in the interests of the white race.” Even Henry Adams, who found T.R. tiresome and Brooks, his own brother, brilliant but mad, suddenly declared, “In another fifty years…the white race will have to reconquer the tropics by war and nomadic invasion, or be shut up north of the 50th parallel.” And so at century’s end, our most distinguished ancestral voices were not prophesying but praying for war. An American warship, the Maine, blew up in Havana harbor. We held Spain responsible; thus, we got what John Hay called “a splendid little war.” We would liberate Cuba, drive Spain from the Caribbean. As for the Pacific, even before the Maine was sunk, Roosevelt had ordered Commodore Dewey and his fleet to the Spanish Philippines—just in case. Spain promptly collapsed and we inherited its Pacific and Caribbean colonies. Admiral Mahan’s plan was working triumphantly. In time we allowed Cuba the appearance of freedom while holding on to Puerto Rico. Then President McKinley, after an in-depth talk with God, decided that we should also keep the Philippines, in order, he said, to Christianize them. Although Philippine nationalists had been our allies against Spain, we promptly betrayed them and their leader, Aguinaldo. As a result it took us several years to conquer the Philippines, and tens of thousands of Filipinos died that our empire might grow. The war was the making of Theodore Roosevelt. Surrounded by the flower of the American press, he led a group of so-called Rough Riders up a very small hill in Cuba. For this proto-photo opportunity he became a national hero, Governor of New York, McKinley’s running mate and, when McKinley was killed in 1901, President. Despite the criticism of the few, the Four Horsemen had pulled it off. The United States was a world empire. And one of the horsemen not only got to be president but for his pious meddling in the Russo-Japanese conflict, our greatest apostle of war was awarded the Nobel Peace Prize. One must never underestimate the Scandinavian wit. 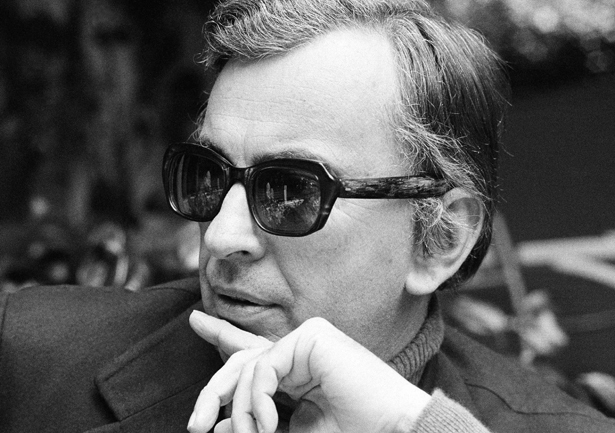 Excerpted from the new ebook Gore Vidal's State of the Union: Nation Essays 1958-2005. Download a copy today to read all 26 timeless essays instantly on your on tablet, eReader, smartphone or computer.